It is a bit drizzly here, off and on, today, but we’re still having fun! It is the perfect fall temperature for a bit of cider and pumpkin spice coffee with a cinnamon roll. Just a reminder-pumpkins don’t melt in the rain, so come and pick yours out! 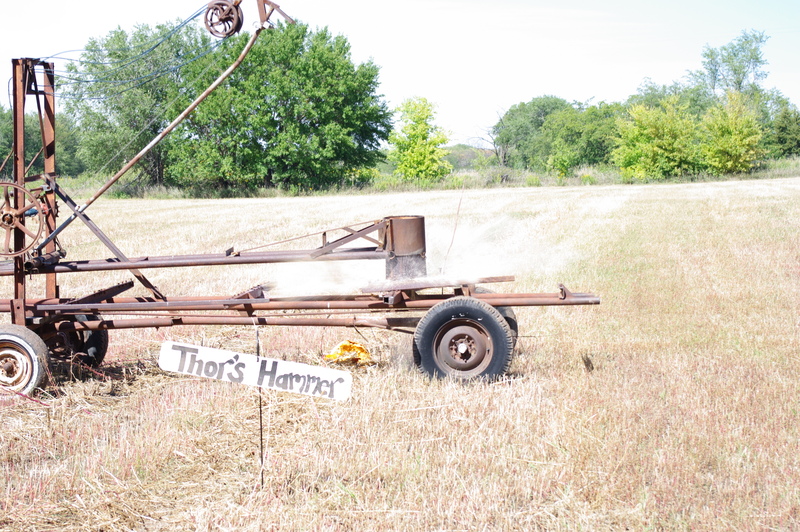 Crazy Dan has just driven in from Iowa, and he is ready to smash some pumpkins with Thor’s Hammer.